Native Americans: Friend or Foe? Lewis and Clark knew that they could only succeed in traveling across the continent if they had assistance from those who lived there. They needed their help to understand the geography, weather and wildlife that they would be facing on their journey. The bilingual Shoshone woman Sacagawea (c. 1788 – 1812), for example, accompanied the Lewis and Clark’s Corps of Discovery expedition in 1805-06 from the northern plains through the Rocky Mountains to the Pacific Ocean and back. Her skills as a translator were invaluable, as was her intimate knowledge of some difficult terrain. 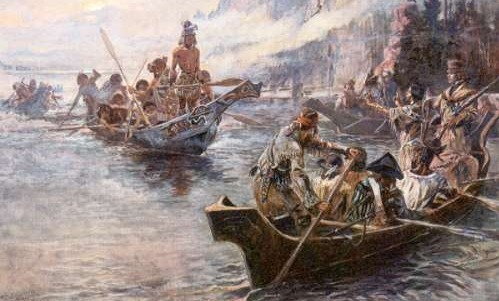 Without the Native American's help the expedition may never have gotten past St. Louis. 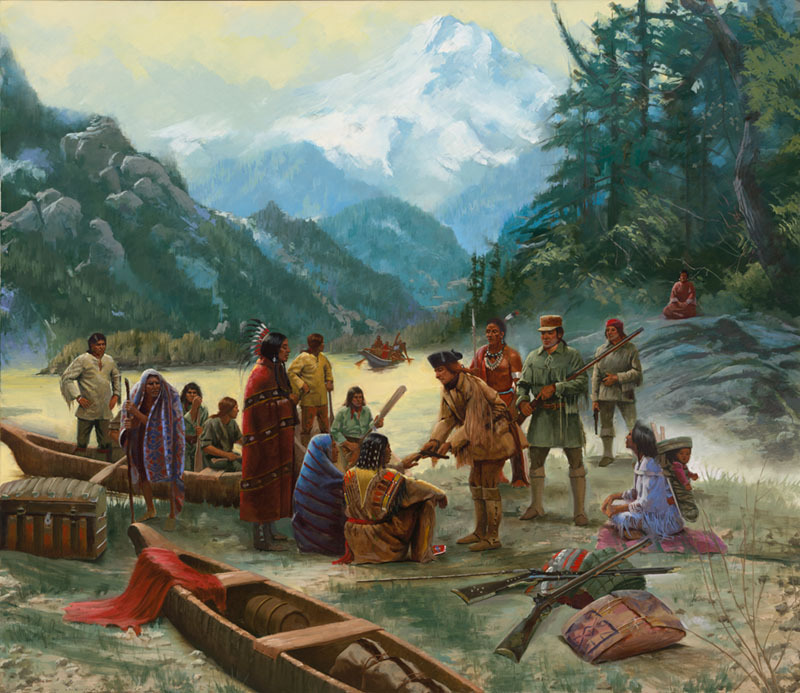 Lewis and Clark therefore set out as ambassadors of good will, and at President Jefferson's request, attempted to make treaties and become trading partners with as many native tribes as possible. However, not all tribes were open to outsiders. Over the past couple weeks, we have discussed the importance of symbols (think back to the Great Seal of the U.S.). Lewis and Clark carried symbols of peace wherever they went, to help gain the trust of Native American's. One such symbol is the "Peace Medal" you see below. This medal was presented to the leaders of tribes to show that the expedition meant no harm. Before attempting your next task, you must first analyze the images and the passages below. For this task you will be talking from the viewpoint of one of the Native Americans. How would you feel about these outsiders coming into your homeland? Would you trust them? What would you do if you were the leader of one of these tribes and was presented with a "Peace Medal?" You'll need to provide your thoughts on whether you would consider these strangers to be friends or foes. Be sure to back your answer up with a well reasoned explanation, that supports your argument. Are these strangers (the explorers) friends or foes and why? Make sure to provide a well reasoned explanation, that supports your argument. 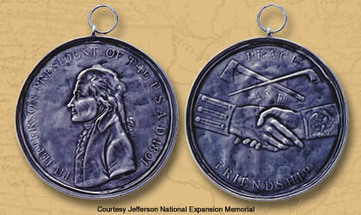 The image above is an actual "Jefferson Peace Medal" carried by Lewis and Clark on their Expedition. 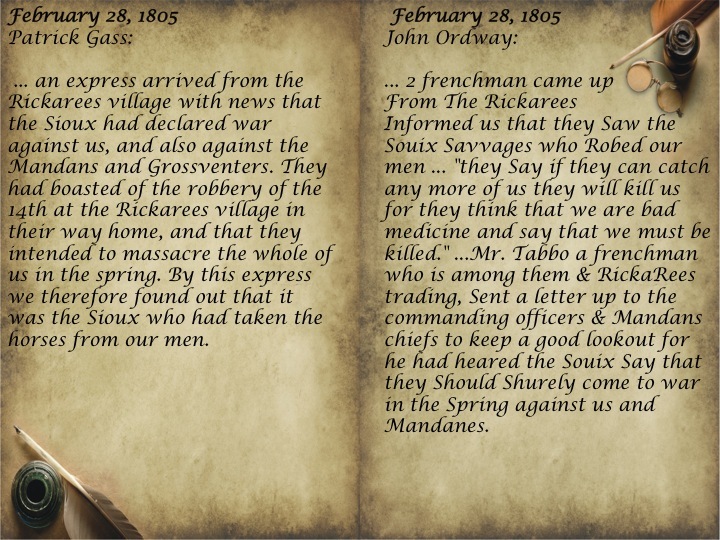 Lewis and Clark dealt with mostly friendly Native American tribes, with one large exception: the Lakota Sioux.